Peachy Keen Clear Stamps Ci sono 2 prodotti. 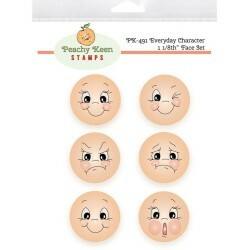 Peachy Keen Stamps Clear Face Assortment "Everyday Character" I nuovi Clear Stamps di Peachy Keen sono deliziosi!!! Peachy Keen Stamps Clear Face Assortment "Sweet & Innocent" I nuovi Clear Stamps di Peachy Keen sono deliziosi!! !